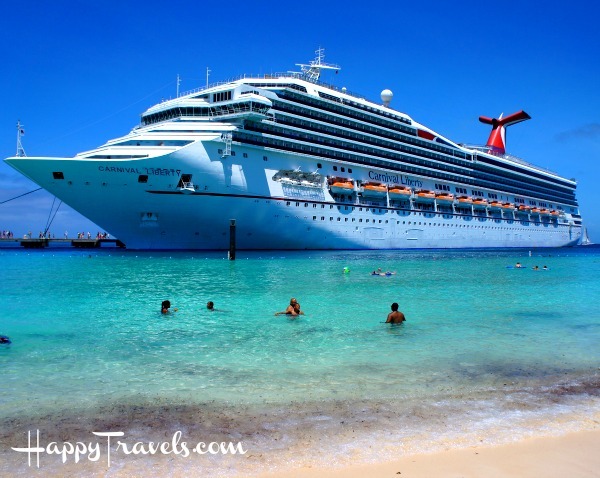 One of the most difficult decisions we faced when planning our cruise on the Carnival Liberty Cruise Ship was which shore excursions to take. 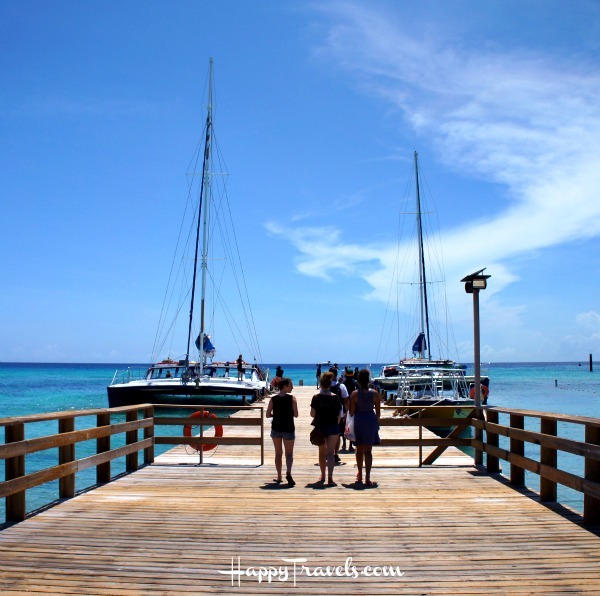 The prices and types of activities vary according to the port, but after looking through the Shore Excursions in Grand Turk with the Carnival Liberty I knew that we would have to go snorkeling! I’ve heard that the Turks and Caicos Islands were beautiful, but I’d never seen them firsthand. Just 575 miles Southeast of Miami, we visited Grand Turk as our last port of call while on the Carnival Liberty cruise ship in June, before turning around and heading home. Grand Turk is the capital of the Turks & Caicos Islands archipelago and is just about 7 miles long and 1.5 miles wide. As you can imagine, the beaches are beautiful and the water sports are a plenty! 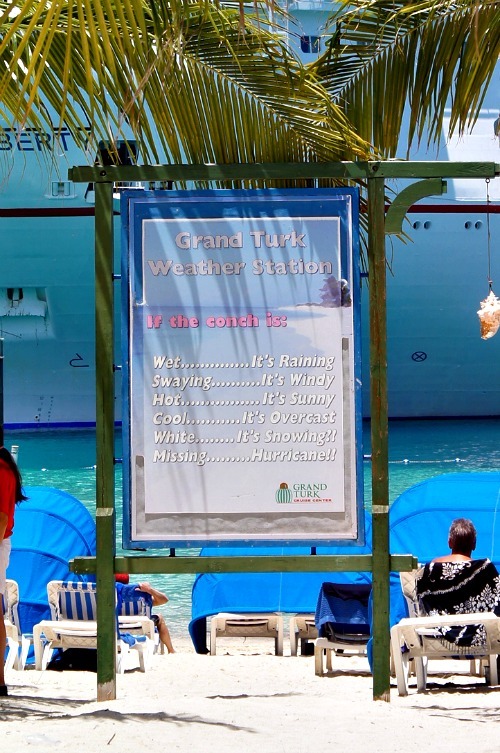 The average temperature in Grand Turk is between 80-90 depending on the month, and they average 350 days of sunshine. 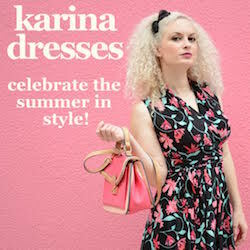 Talk about the eternal summer! 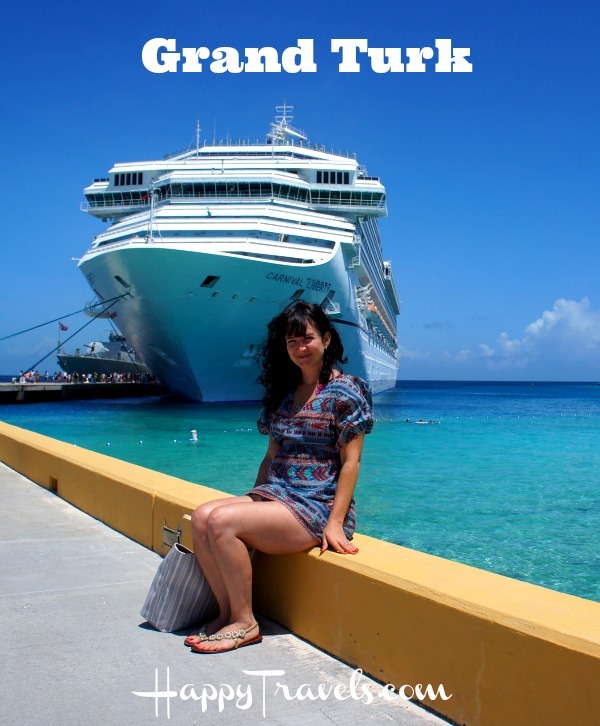 With about 4,500 residents, Grand Turk is a friendly place, and we were thrilled with the guides on our shore excursion. We decided to book the last snorkeling shore excursion in Grand Turk so that we’d have time to explore the beaches on our own before leaving. What a fantastic idea that was! No one else booked that excursion, and we ended up with a private excursion! We went snorkeling on Cotton Key, as well as took a little 10 minute hike along the beach to an old British Fort. While Cotton Key no longer has any residents – there isn’t a source of fresh water on the island – our snorkeling guide filled us in on the history of the island and how the British used to keep their animals there. There are still wild goats roaming the island to this day! We booked our shore excursion in Grand Turk directly through Carnival Cruise Lines, and you’ll find a ton of options to choose from! Each shore excursion meets right in front of the cruise center and are super easy to find. You can even go to Froots smoothie bar across from the cruise center to use their free wifi while you’re waiting! Horseback Ride & Swim – Spend an afternoon embracing your outdoor spirit on this fun-filled horseback adventure! Gibbs Cay Beach & Stingray Encounter – Explore an uninhabited island and have a close encounter with stingrays on this exciting combination excursion. 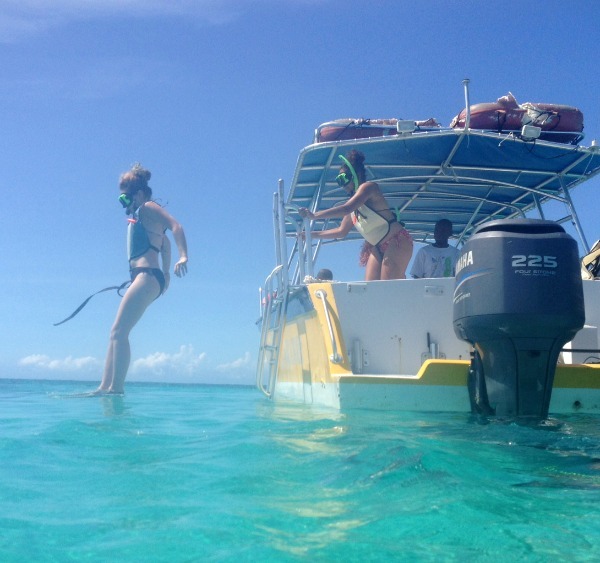 Reef & Rays – Snorkel the pristine coral reef off Grand Turk and see stingrays at play on this combination excursion. Catamaran Sailaway, Beach & Snorkel – Go sailing aboard a luxurious catamaran on the way to a beautiful beach and snorkeling location. You can find prices, the duration of each shore excursion and previous guest reviews all on Carnival.com by clicking the Shore Excursions tab when you’re looking at the cruise details for a cruise. While you can book excursions at the Guest Services desk while on your cruise, I recommend booking ahead of time through Carnival.com if you know for sure what you want to do. Sometimes excursions sell out! The U.S. dollar is the official currency. Most hotels, restaurants and shops accept traveler’s checks. All stores at the cruise center accept credit cards. ATM’s are available and the closest one to the cruise center is less than 1 mile. Grand Turk is on EST. Daylight Savings Time is observed from March to November.